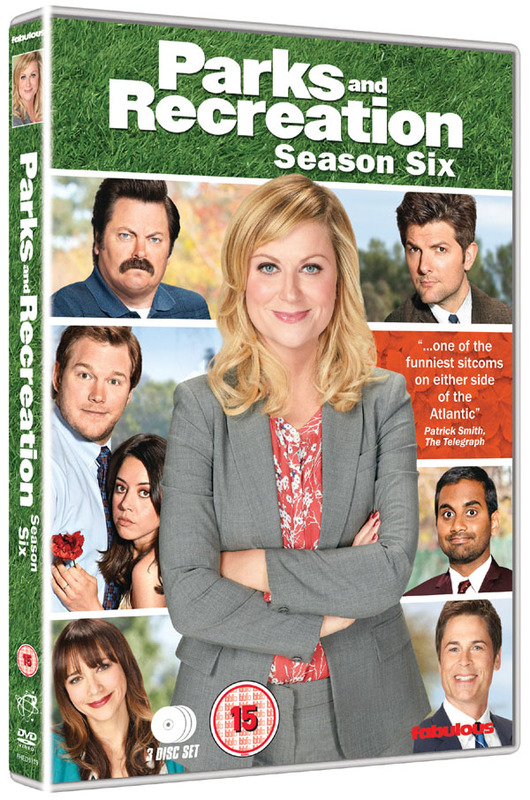 Win 'Parks and Recreation' Season 6 on DVD! Posted November 11, 2014 by William Martin & filed under Win. Golden Globe® winner Amy Poehler returns as Leslie Knope in Season 6 of Parks and Recreation, available for the first time in the UK on DVD on Monday 10 November. To celebrate the release, we’ve got DVDs to give away to three of our Twitter followers! The latest high-profile member of The White House to make a cameo appearance in this season’s Parks and Recreation is Michelle Obama, hailed “the most promising actor in all of community theatre” in The Guardian. Other iconic guest stars include Jon Hamm, Lucy Lawless, Henry Winkler, Heidi Klum, Kristin Bell and Sam Elliot. In this season, the citizens of Pawnee loathe their merger with the neighbouring town of Eagleton, and blame all their troubles – both real and imagined- on Councilwoman Knope. The personal lives of those in City Hall are equally tumultuous: Andy (Chris Pratt) must temporarily say “cheerio” to his wife, April (Aubrey Plaza), when he takes a dream job in London: Ron (Nick Offerman) adjusts to his new domestic roles; and Ann (Rashida Jones) and Chris (Rob Lowe) eagerly await the birth of their child…if they can survive the woes of pregnancy. This competition has now closed. The winners are Katy Jamieson from Stockport, Neil Drake from Eastbourne and Andrew Eavis from Wells.